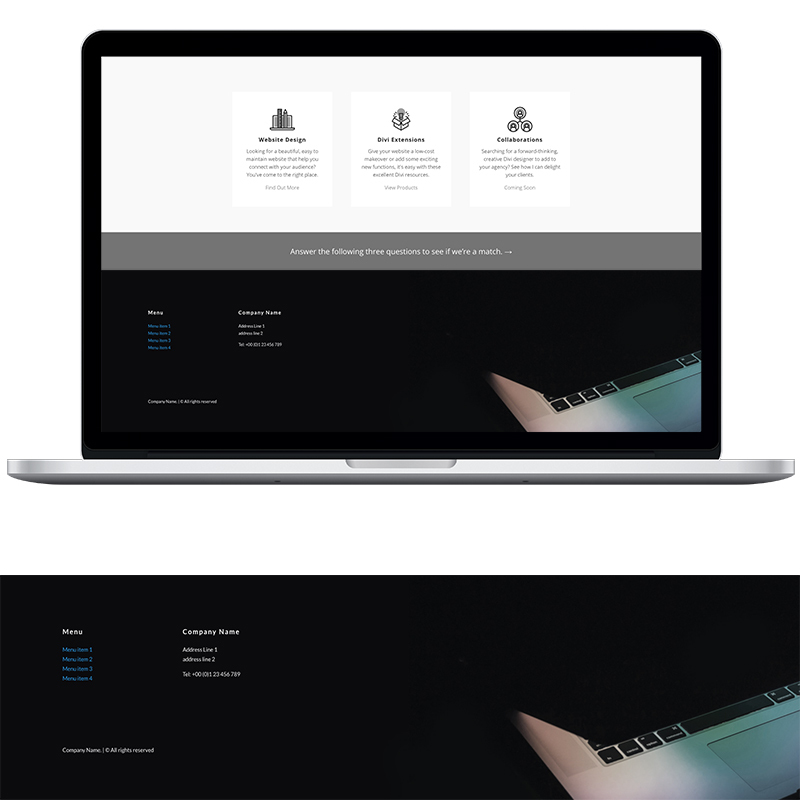 Add a touch of sophistication to your Divi website footer with this free footer module. 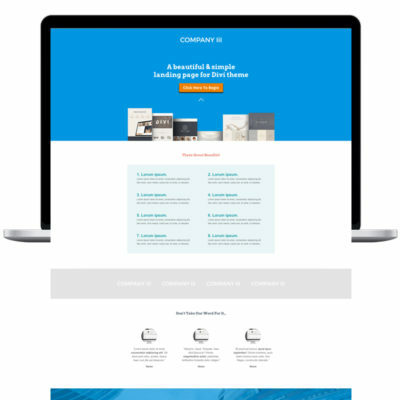 Divi 3.0 & Divi builder compatible. This free Divi Builder layout includes 1 luxury style footer. 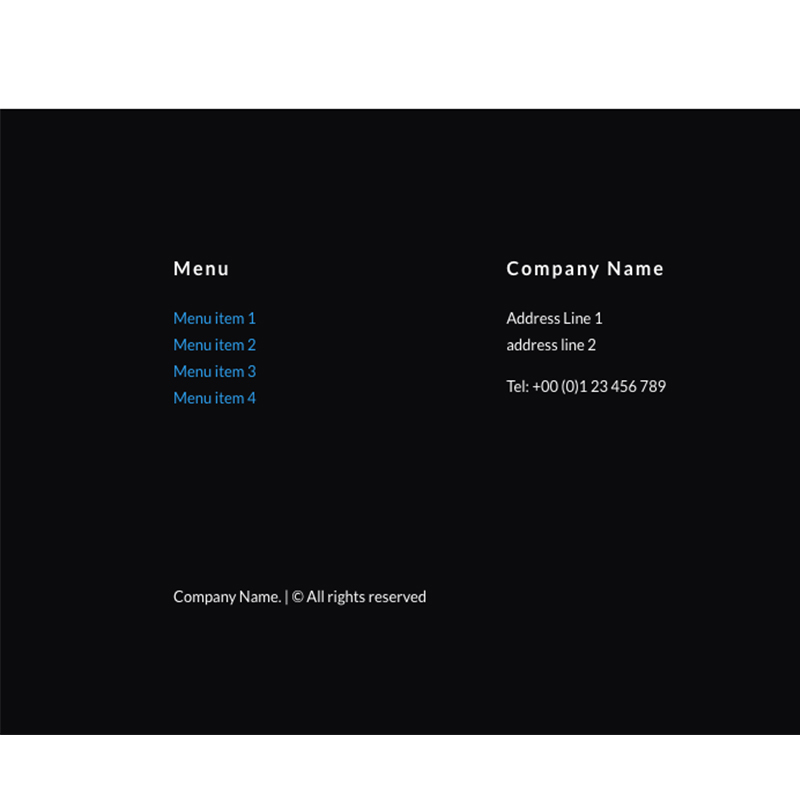 Add the footer layout to each page individually, as a global module or add it to the footer.php file in your Divi child theme to have it appear on every page. Adds the finishing touch to your sophisticated, dark-themed website. 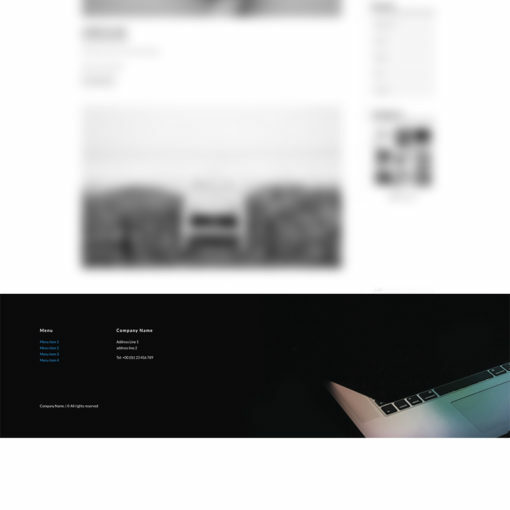 Looks great on personal blogs, photography and art-based websites. 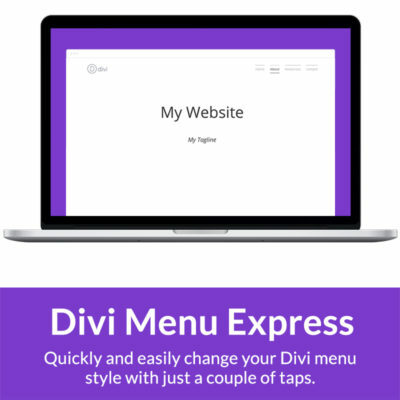 Make changes through the Divi module editor.